Basketmaker II point, Navajo National Monument. Click the image to open the Basketmaker gallery. 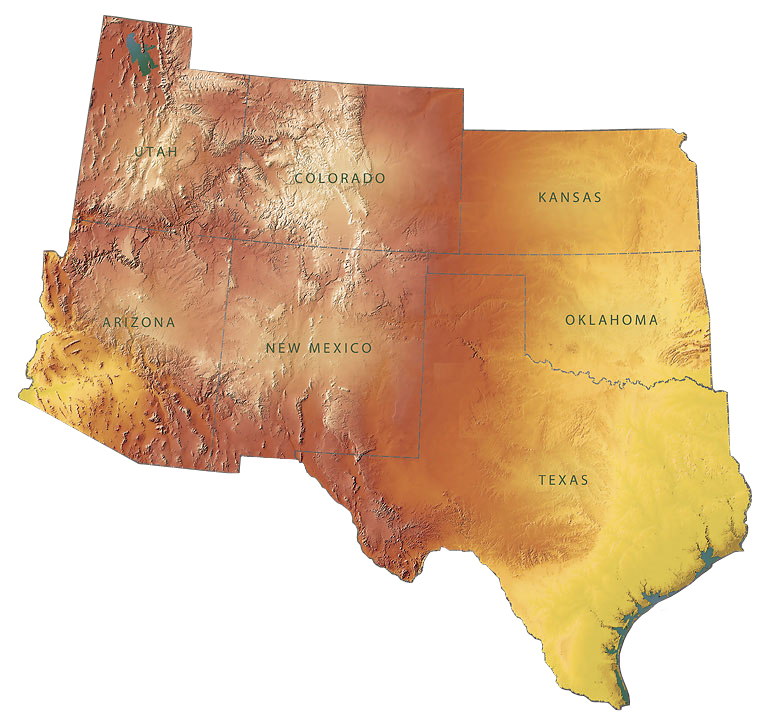 Geographical Range: Southeastern Utah, northern Arizona south to the Little Colorado River Valley, southwestern Colorado, and northwestern New Mexico. 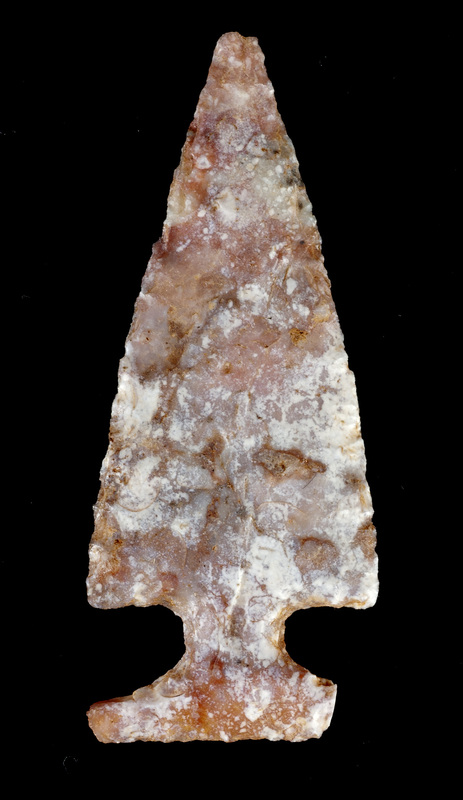 Date Range: 2750 – 1650 B.P. (Lyndon 2005). Size: Average: 42.1 mm long, 21.2 mm wide, and 5 mm thick; stem length: 9.8 mm (Lyndon 2005:Table 12) . Shape: Triangular with a narrow neck, large side notches, and a straight eared base. Base: Straight; generally equal to or narrower than the blade width. Flaking; Percussion and pressure; scars widely spaced; random. Notching: Low-set U-shaped side notches, placed perpendicular to the axis; occasionally diagonal (corner). Materials; Obsidian, chert, petrified wood, and rhyolite. Other Names; Justice (2002) calls these points Black Mesa Narrow-necked. Comparisons: Elko series and San Pedro points are similar in size and notching, but lack the narrow neck of the Western Basketmaker II points.